War Horse: The Story in Concert is a striking project which combines original music from the play War Horse (which premiered at the National Theatre in 2007) with Michael Morpurgo's book on which the play was based. 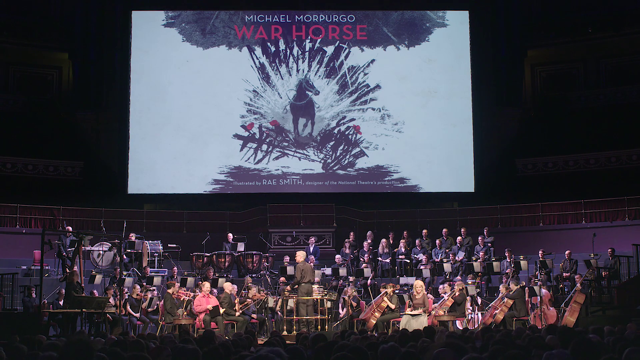 Performed live at the Royal Albert Hall in 2016, War Horse: The Story in Concert is now being released on CD with the Royal Philharmonic Concert Orchestra, Michael Morpurgo and Joanna Lumley do the narrations. 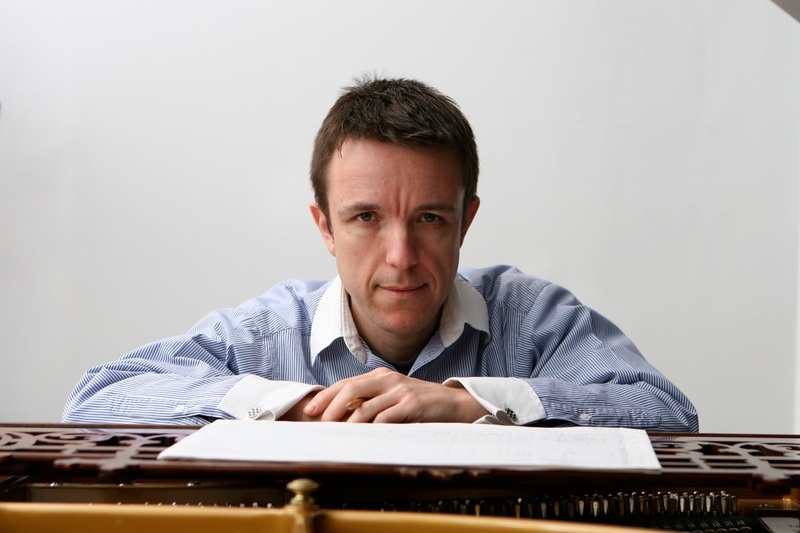 Composer Adrian Sutton has been with the project since he first wrote the music for Nick Stafford's play at the National Theatre. Adrian's other credits at the National Theatre include Coram Boy, The Curious Incident of the Dog in the Night-Time and Angels in America, yet Adrian did not start out writing music for the theatre. I recently met up with him at the National Theatre to find out more. First of all, I wondered what exactly listeners to War Horse: The Story in Concert were going to get. Adrian explained that it is a hybrid, a complete reading of the book with music from the play, and he likens it to Prokofiev's Peter and the Wolf. For people who have seen the show, Adrian feels that the music will allow people to enjoy the sense and the atmosphere of the play, to put them back in that world. But as they use the original book, you don't actually have to have seen the play to appreciate the piece. War Horse: The Story in Concert is entirely separate from the War Horse Suite which Adrian created six or seven years ago. This is effectively a symphonic poem, and to create it Adrian spread all the music out on his desk and worked out how he could use to to tell the story of War Horse on its own musical terms. 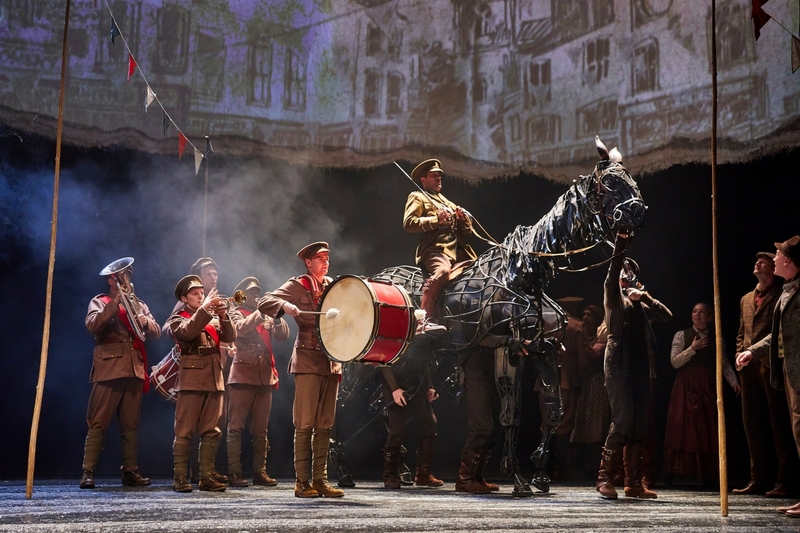 As well as Adrian's music, War Horse: The Story in Concert includes the songs by John Tams which were part of the original production. It was John Tams, who describes himself as a song maker, who source and adapted songs as appropriate material for particular scenes and Adrian then orchestrated them. Adrian came to writing for the theatre by a rather circuitous route. He studied music at Goldsmiths, University of London, and spent 15 year working in television commercials and writing music for television programmes. He eventually became a partner in post-production firm, and one day the satirist Chris Morris (best known for Brass Eye) walked through their doors looking for a facility for his new show Blue Jam. Adrian spent three years working with Chris Morris, and Chris kept telling Adrian that he ought to send his music to Chris' brother Tom Morris who was then running BAC (Battersea Arts Centre). The upshot was that Adrian wrote one of the scenes for Newsnight: The Opera which Tom Morris produced at BAC. Adrian's scene was the one where Jeremy Paxman interviewed Michael Howard and Howard failed to answer a question 14 times, a scene which Adrian describes as a gift to any composer. Shortly afterwards Tom Morris moved to the National Theatre as an artistic associate, and his first project was Coram Boy, a play by Helen Edmundson based on the novel by Jamila Gavin which premiered at the National Theatre in 2005, and Tom Morris asked Adrian to work on the music for the play.Adrian describes himself as being 'plucked from obscurity' to work at the National Theatre's Olivier auditorium. He comments now, 'You have no idea how scary it was'! 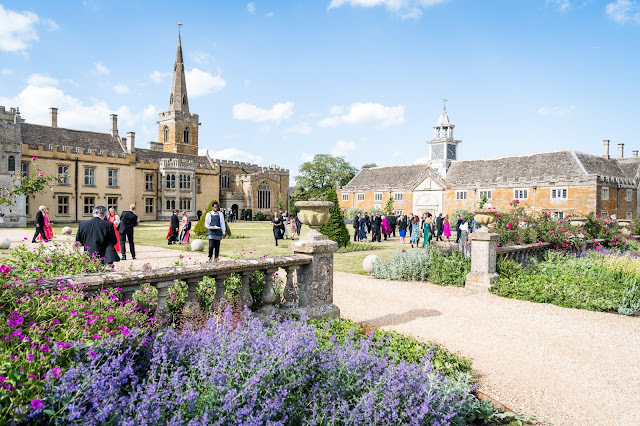 Adrian has always loved the theatre, and in fact acted at school, but prior to his National Theatre experience he had never written music for the theatre, and he found he loved it. There were of course significant differences between theatre and his previous work. The work in television commercials was a difficult, high octane environment and he needed both to be able to write in a wide variety of styles and to work very quickly. He automatically did the same when working in the theatre, and would find himself writing music in two hours when the director had expected him to take a week. What he did enjoy about working in the theatre was that the environment and the people were so much more supportive, it was a far more collective approach, experimentation was welcomed, failure was allowed because this could lead to creative change. It was a new way of working which he enjoyed. Coram Boy was followed by War Horse which Marianne Eliott and Tom Morris directed at the National Theatre in 2007, and again Adrian was asked to write the music. At the time, the team had no idea that the piece work turn into something so big.. 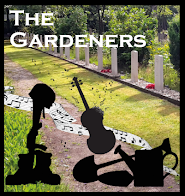 When writing music for a play, Adrian's first task is to understand the text and the characters, the actual music is one of the last things to appear. He reads the play (and the book on which it is based, if necessar) a few times and then has lots of conversations with the director about what the dramatic and emotional thrust of the production will be. Only then can you decide where a score comes from. An important decision is from whose point of view the music is written, so it can be written from the audience's point of view, reacting to what they see on the stage, or as with Curious Incident it can show what the principal character feels, what is inside their head. 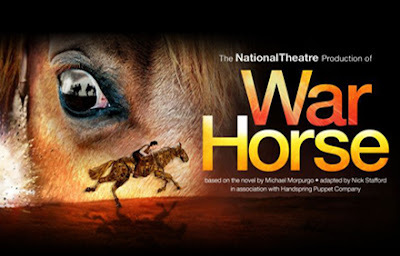 The tricky thing in War Horse of course is that the leading character is a horse, which does not speak. But the audience empathises with Albert, the leading human character, and this is the source from where Adrian's score springs. He feels that his music helps the play convey what it is like to go to war and how war messes people up, so that the piece sends people on a journey. Since working in the theatre, Adrian has found that his awareness to dramaturgy has been heightened, improving his understanging of how characters develop. He also has to set aside his own ego, as the music he is writing is in the service of something else. It was happenstance that he came to work in the theatre, prior to that he was very much a studio animal and is now keen to remain writing for the theatre, outside the studio. Despite his work in the theatre, Adrian still has an eye on his concert and chamber music. He trained as a violinist but admits that he just does not play enough now, and rather misses orchestral playing.He comments that writing concert music requires a very different head space, and there can be something rather unnerving about being in the glare of a concert, and for some composers this is tecchnically paralysing. 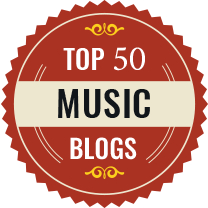 Adrian thinks that in some ways, all writing of music is about overcoming fear, you have to start somewhere. In some ways, writing for the theatre makes this easier as it is all set out in front of you. 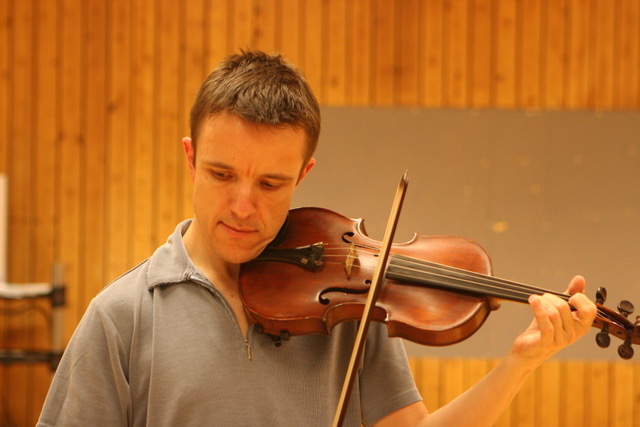 Adrian describes his music as being influence by the English 20th century symphonic tradition. Walton's Symphony No. 1 has always been his favourite, and his desert island work would be Walton's Violin Concerto, other influences include Britten, RVW and Elgar. 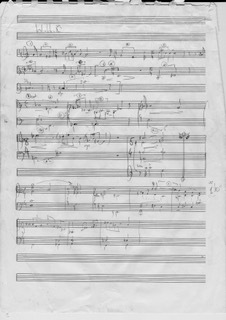 For War Horse, the music of Arthur Honnegger was also an influence. Other influences include Roy Harris and Aaron Copland. Adrian admits that he has 'never been much plugged into Mahler', whilst he has written for the theatre in that vein, he never listen's to Mahler's music at home. Adrian is finding that as he gets older, he is clarifying what he wants to say with his music. He is not so much interested in process, in texture and timbre for its own sake. Instead he prefers bold clear ideas which have emotional resonance, not just surface detail or strangeness of presentation for their own sake. He likes melody and harmonic movement. His orchestral work A Fist Full of Fives was played on BBC Radio 3 by the BBC Symphony Orchestra. The work was written for the Corinthian Orchestra and it was to fit in with a concert themed on the number five. So unusually for Adrian, the piece is about process as it is all about the number five, but for Adrian the challenge was to make the piece interesting. Thanks to his works in TV commercials, Adrian is highly technically trained because of the speed at which things had to be written. Now he enjoys writing using pencil and paper, and is wary of what he calls the tyranny of technology. At the early stages of a project he uses a pencil, trying to make sure that computers do not determine how the piece is written. He worries that too many composers do not know anything else other than a copumputer, that they have no sense of instrumental balance and have not developed an inner ear. As well meet, Adrian is planning workshops which he is going to be giving in Melbourne. Curious Incident is opening in Melbourne, Australia on 11 January 2018 (at Melbourne Theatre Company), and to coincide with this he has been invited to give a series of workshops to emerging composers at Arts Centre Melbourne. In 2018 Adrian will be working on a new play. This process will involved taking part in workshops. Unlike writing his own material, working on a play is not a solitary experience instead he is in a roomful of actors bouncing ideas off each other, and he finds this exhilarating. Also next year, he will be in the USA for Angels in America as the National Theatre production is transferring to New York. There is a lot of revision he wants to do to his score for the play, and enjoys the fact that he is able to get a second bite at the cherry. He also has a couple of ideas for operas 'kicking about' (his children's opera The Griffin and the Grail was premiered by the Royal Philharmonic Orchestra at Cadogan Hall in 2013). He also has plans for a double concerto for violin and viola for Fenella Humphreys, but it is still very early days. There is a longer interview with Adrian talking about War Horse also on YouTube.